Posted October 21st, 2015 by K.C. Hopson & filed under Event Apps, Event Rebels Blog, Online Registration, Onsite, QR Codes, What's New. Posted July 23rd, 2015 by K.C. Hopson & filed under Event Rebels Blog, Meetings Technology, Mobile, Onsite, QR Codes, What's New. Earlier this week, EventRebels President K.C. Hopson spoke to the award-winning Georgia Peach Chapter of SGMP on how to improve your meeting with QR codes. Here is a recording of the popular presentation. 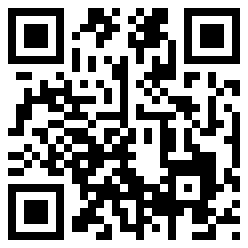 Learn about the basics of QR codes, how to create great ones, and the many ways you can use them for your event. EventRebels’ Mobile Conference Attendee App is Out! Posted June 5th, 2014 by K.C. Hopson & filed under Event Networking, Event Rebels Blog, Meetings Technology, Mobile, QR Codes, What's New.